Children’s books contain a hefty amount of absurdity, magical happenings and inconceivable plots. They are not generally tasked with, or expected to be, bearers of facts—certainly not scientific ones. And especially not books with talking animals. But E.B. 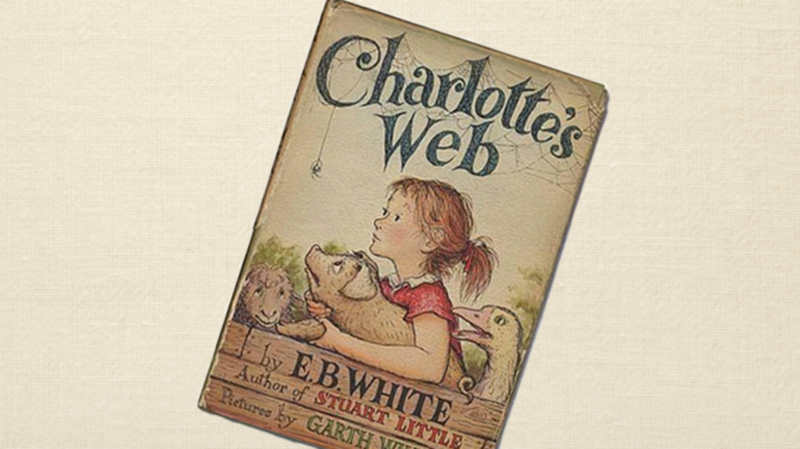 White was no ordinary author, and on the birthday of one Elwyn Brooks White—born in Mount Vernon, N.Y. in 1899—the American Museum of Natural History remembered the author on their Tumblr page with a tip of the hat to some particularly scientific inclusions in Charlotte’s Web. Turns out, in preparing to write what would become his best known work, White studied spiders extensively and even called upon Willis J. Gertsch, a AMNH curator in what was once the Museum’s Department of Insects and Spiders, to help. Gertsch led White to an important finding on his quest to define Charlotte. White had originally thought the spider in his barn (the spider that inspired the book) was a gray cross spider of the genus Epeira. Not so, said Gertsch. The arachnid was an Araneus cavaticus, and that detail made its way into the pages of White’s masterpiece. “Charlotte what?” asked Wilbur, eagerly. “You have awfully hairy legs, Charlotte,” said Wilbur, as the spider busily worked at her task. Charlotte’s fate was also sealed by science, as spider mothers die after they lay eggs, just as White's protagonist did. According to the AMNH post, publisher Harper & Brothers fought the upsetting conclusion, but White was steadfast in his vision. To get up close and personal with a few real life Charlottes, visit the AMNH’s Spiders Alive! exhibit—or maybe just click over for the arachnophobic among us.